We are very delighted to be able to let you into this little gem of a secret. At this pretty boutique they carry a selection of finishing details for your wedding look, stoles, veils, gloves etc. They also offer custom bridal gowns, alterations and dress pressing. They have a gorgeous selection of vintage fur to hire which when getting married in the winter is a fashion must in our book. 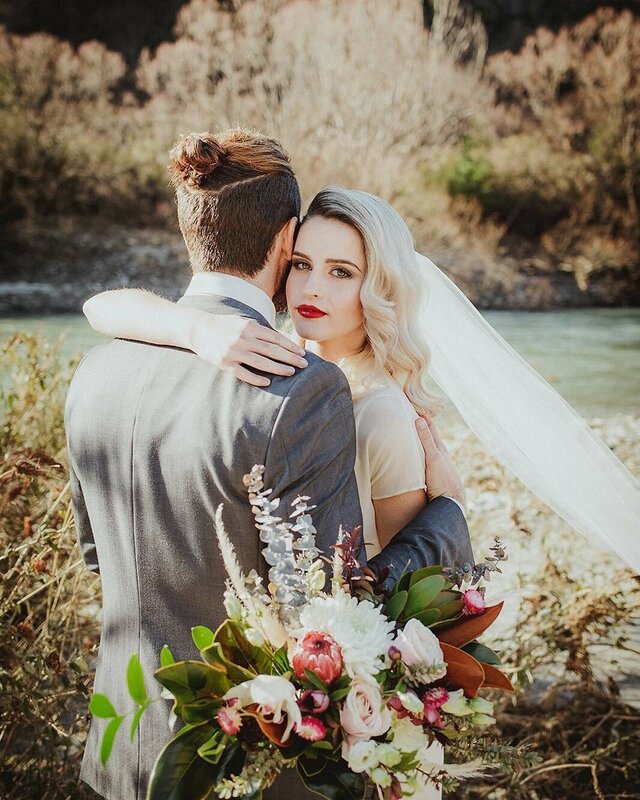 Based in Queenstown, they are a quick drive from Wanaka and our personal recommendation for last minute dress needs.